AThese movement based workshops are held on a monthly basis in the Lab on Foley Street. This is a brilliant opportunity to learn from some of the best and most experienced theatre makers in Ireland. If interested please contact grainne@atlargetheatre.com or atlargetheatreco@hotmail.com to register your interest. His style of theatrical storytelling with music has won him international recognition and while his play “Sparkplug” won an Irish Times Theatre Award for his sound design the radio version won a Special Mention Prize at the Prix Italia 2013. He has recently published a book of Haiku “The Apocalypse came on a Friday” and previously his “A Donegal Trilogy” was published by An Grianan Theatre. He has released an album of songs from his theatre shows recorded with The Caledonia Highly strung Orchestra. For this workshop Little John will be focusing on creative process; looking at writing, devising, loop-pedals, sounds and narratives while responding to and exploring any particular requests from the group. 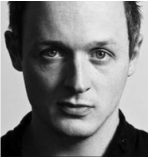 Bryan teaches physical theatre at The Lir Academy of Dramatic Art in association with RADA. Noteworthy performances include My Foot/My Tutor with Articulate Anatomy ( Best Male Performance at Dublin Fringe Festival 2004), Barabbas Theatre Company's Johnny Patterson : The Singing Irish Clown ( Irish Times Theatre Award Best Supporting Actor 2009) and Beowulf : The Blockbuster which has toured Ireland, Scotland, Wales, France, Australia, New York and was the number one success of the Edinburgh Fringe 2014 winning the STAGE Award for Acting Excellence. Patrick J O’Reilly, Artistic Director of Tinderbox Theatre is, to our absolute delight, returning to give a second workshop. Patrick has a proven and impressive track record as a director, writer and performer both internationally and in Ireland. Patrick trained at the Le Coq International school in Paris and was previously the artistic director of Red Lemon Theatre Company. He has a passionate belief that participation, access to excellence and innovation and rigorous dramaturgy is integral to making ground breaking new work. Patrick J O’Reilly, Artistic Director of Tinderbox Theatre, has a proven and impressive track record as a director, writer and performer both internationally and in Ireland. Patrick trained at the Le Coq International school in Paris and was previously the artistic director of Red Lemon Theatre Company. He has a passionate belief that participation, access to excellence and innovation and rigorous dramaturgy is integral to making ground breaking new work. This workshop will explore Tout Bouge - the idea that everything moves. Storytelling through movement, moving memory and thoughts. Tout Bouge is about not thinking, playing and letting go. The outer tells the story Moving away from linear storytelling and playing in abstract form. Patrick will also explore John Wright's Mask technique. Husband & wife team, Jude Quinn & Gemma Mae Halligan set up the company in 2013, having both worked as actors for over 10 years. Combining their interest in the light & shade of human life with a love of physical theatre Amadan creates theatre that is relevant, humorous, visceral & delightful. 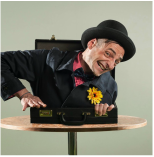 In Amadan's Clown workshop you will learn about the pleasure of being ridiculous in a space, moving from one flop to the next, always being happy & optimistic playing before an audience. Drawing on the innocence & playfulness we had in childhood we will explore how to bring this to the stage to make the audience laugh. We will be using techniques & exercises based on our training at the prestigious Lecoq school, Ecole Philippe Gaulier & Complicite founder Mick Barnfather. This will be a physical workshop so come dressed in loose comfortable clothing & leave your inhibitions at the door. Commedia Del Arte is one of the oldest formalized dramatic traditions we know. Originating in Italy, and adopted heavily by French audiences, it has evolved enormously over the past six hundred years, however the basic tenants of its central archetypes remain largely intact and remembered. Every comedy, and many serious dramas, including those of Shakespeare and Moliere, right through to The Simpsons and modern film, borrows from these archetypal characters. In its traditional guise, Commedia was performed by travelling troupes of highly skilled and acrobatic performers who would improvise around a basic through-line of action. Each archetype has a specific formula of physical characterization and actors became expert in one or the other depending on their own physical type. As such every actor has an archetype to which their own physicality lends. To learn your archetype, however, also means you can learn how to divert from it in order to create physically transformative and unique characters. In this workshop, David Scott will take students on a full day journey into this fascinating and largely unknown tradition.